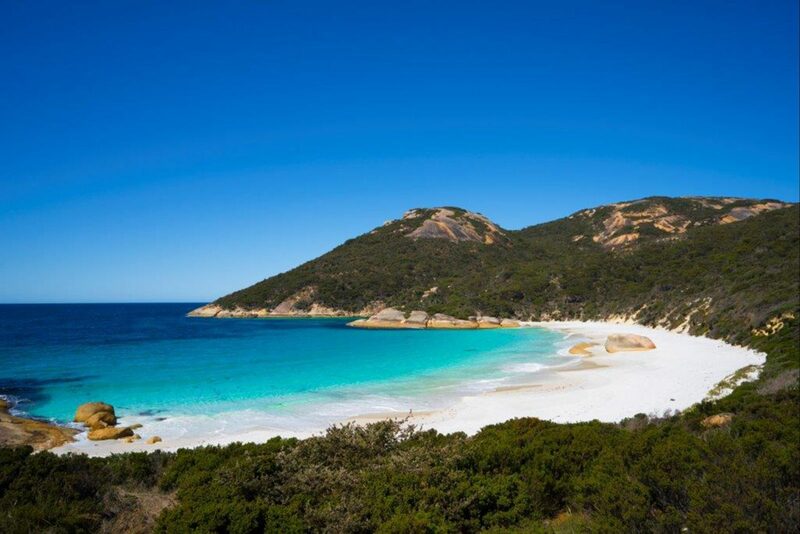 You’ll find unspoilt coastal scenery and a beautiful beach perfect for swimming at Two Peoples Bay Nature Reserve near Albany. The reserve is famous for its small colony of rare and endangered noisy scrub birds. These birds were believed to have been extinct until they were rediscovered at Two Peoples Bay in the 1960s. You can learn more about the birds and the program in place to protect them at the Interpretive Centre. 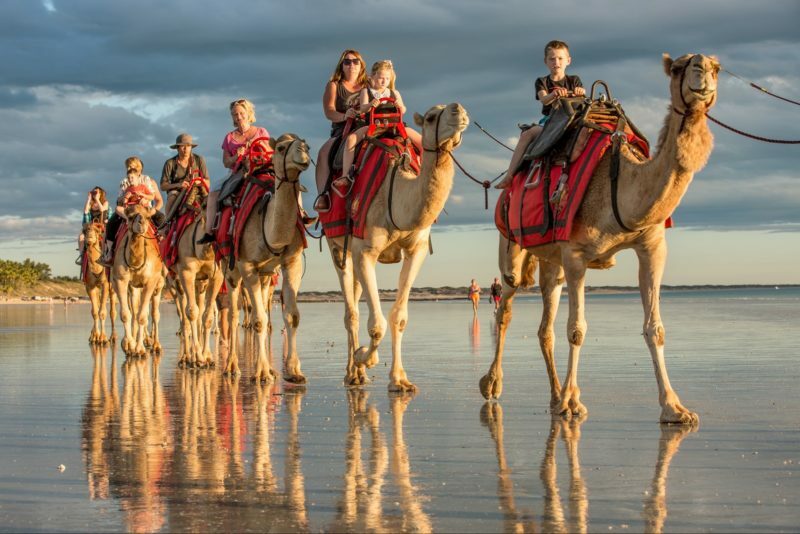 Take a stroll along the clean white sand of Little Beach and enjoy a scenic view over rolling hills and small granite outcrops. 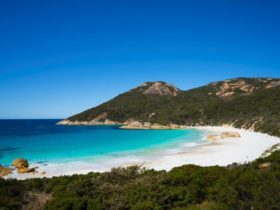 There are some excellent bushwalking tracks including the Two Peoples Bay Heritage Trail which is a one hour hike over the headland and along the beach. Barbecue and toilet facilities are available near the car park. 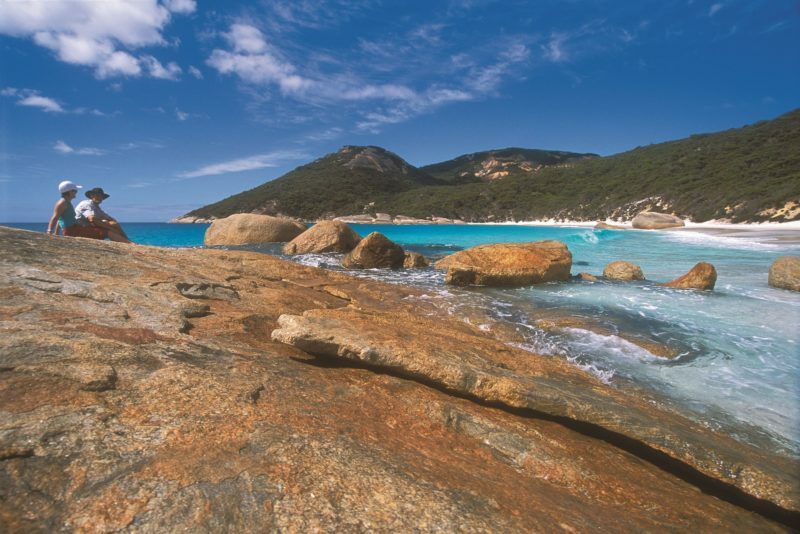 Two Peoples Bay Nature Reserve is about half an hour drive from Albany. 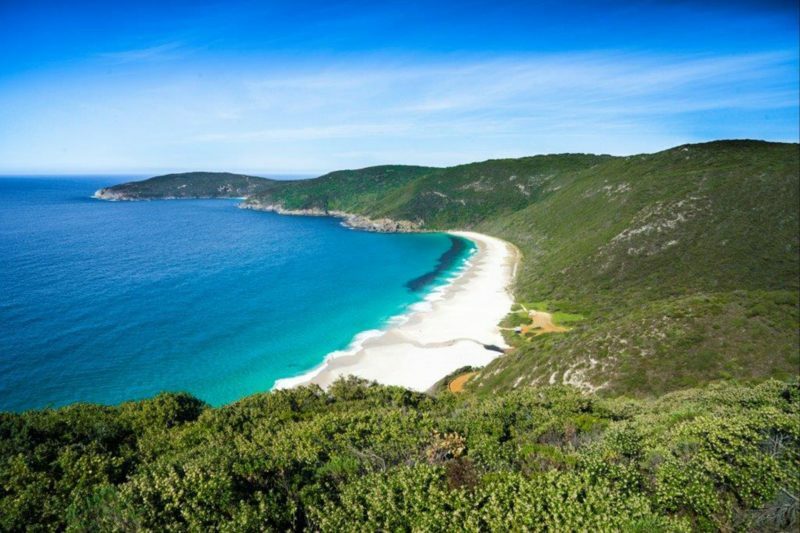 Albany is a four and a half hour drive from Perth or you can fly there in just over an hour.